Little Dots Even Bracelet 18k from Sia Taylor. 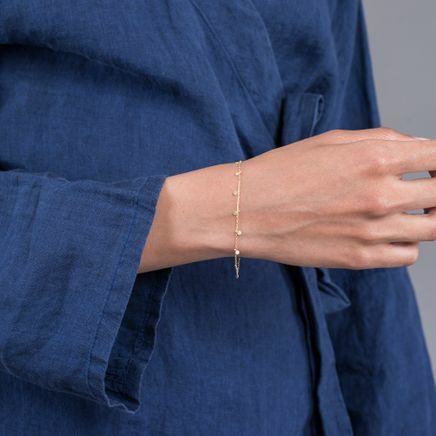 Delicate bracelet with even dots placed on a 18k thin gold chain. 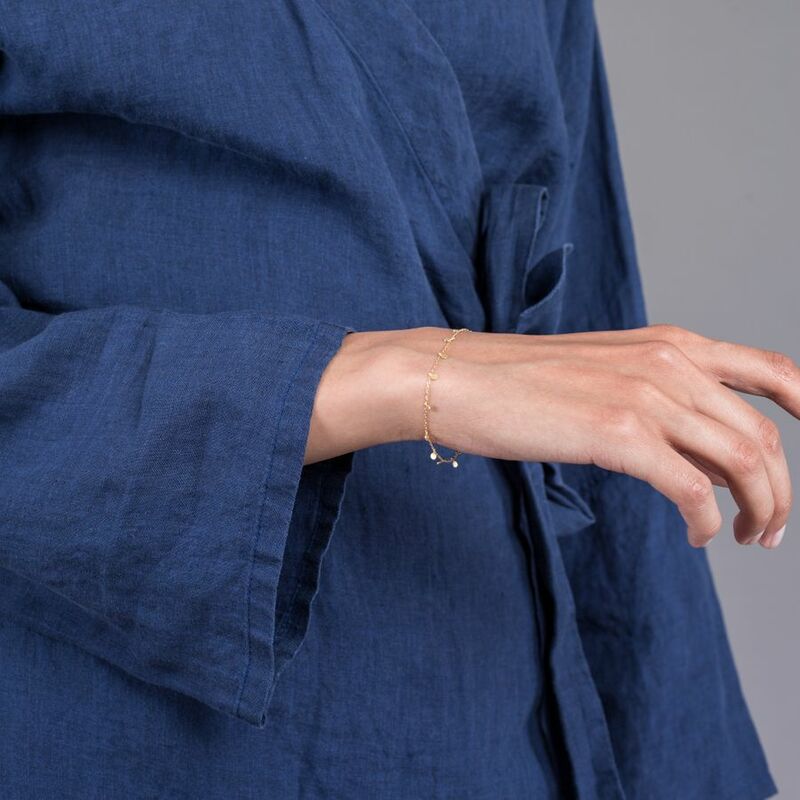 Spring ring clasps. Measures about 17,5 cm.